Punjab and Sind Bank 2018 Recruitment Notification. 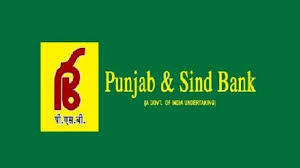 Punjab and Sind Bank is inviting applications for the positions of Financial Literacy Counselor. Interested and Eligible candidates can apply for the positions. Applications are invited for the post of Financial Literacy Counsellor in Punjab & Sind Bank at Balachaur Block of Distt. SBS Nagar. Retired Bank Officials from Public Sector Banks (Scale II and above) below the age of 65 years and in good health are eligible to apply for the post. 1. FLC Counsellor will be paid a fixed consolidated remuneration of Rs.12,000/- per month plus reimbursement of actual conveyance expenses up to Rs. 2000/- p.m. (By ordinary Bus/any other ordinary mean) by the concerned Zonal Office. 2. A Person with good communication skill, well versed with Banking operations, having a passion for service to financially excluded people will be given preference. The services of FLC Counsellors will be hired for 12 months on contract basis subject to renewal every year on recommendation of concerned Zonal Manager till they attain the age of 65 years. However, Competent Authority shall have the right to terminate the contract by giving 30 days prior notice. 3. Candidates from the same District will be preferred. However, Zonal Manager may recommend names of the candidates from adjoining District also which are very near to FLC Centre. Age: The services of FLC Counsellors will be hired for 12 months on contract basis subject to renewal every year on recommendation of concerned Zonal Manager till they attain the age of 65 years. However, Competent Authority shall have the right to terminate the contract by giving 30 days prior notice. 1. Retired Bank Officials from Public Sector Banks (Scale II and above) below the age of 65 years and in good health are eligible to apply for the post. A Person with good communication skill, well versed with Banking operations, having a passion for service to financially excluded people will be given preference. 2. The services of FLC Counsellors will be hired for 12 months on contract basis subject to renewal every year on recommendation of concerned Zonal Manager till they attain the age of 65 years. However, Competent Authority shall have the right to terminate the contract by giving 30 days prior notice. 4. The shortlisted candidates will be considered for hiring subject to vigilance clearance from the concerned Bank/s. 5. For hiring of FLC Counsellor, Bank will consider those candidates who have clean track record of their service. 6. FLC Counsellor will be paid a fixed consolidated remuneration of Rs. 12,000/- per month plus reimbursement of actual conveyance expenses up to Rs. 2000/- p.m. (By ordinary Bus/any other ordinary mean) by the concerned Zonal Office. 7. The FLC Counsellor will be stationed at Block level branch/BDPO Office under the administrative control of concerned Branch Manager. He shall be organizing indoor meetings and outdoor camps for officials as well as customers of different banks and people who are still excluded from the banking fold and are not aware of services available at their nearest bank branches. 9. Candidates MUST submit their application to concerned Zonal Office on or before 07.09.2018. If applying for blocks in different zones, apply separately for each centre. 10. No DA/ TA shall be paid to applicant for participation in the interview. 11. Bank’s decision on hiring and posting shall be final and binding on all applicants and no correspondence will be entertained by the Bank in this regard.